The patented locking rails help provide full bed security as the hard cover is nearly impossible to get into! Trust us, no criminal is going to want to take something strong enough to cut through the sturdy aluminum slats! For them to take that kind of time and energy would just not be worth it. That means you can rest assured your cargo is protected. Not only is it guarded against thieves, but the elements cannot harm your precious goods either. Easily operate the cover from either side with the automatic slam latch and secure it when rolled up with the durable buckle straps. All of the supplied hardware is 3X thicker and heavier duty to give added strength. 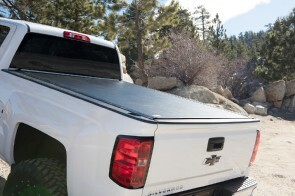 Quickly install the BAK Revolver X2 tonneau cover with an easy, clamp on installation process. 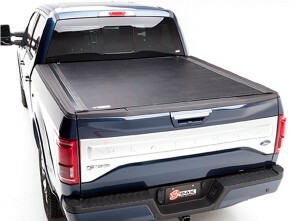 Get 100% full bed access by using one hand to roll the hard-rolling cover up to the cab of the truck. 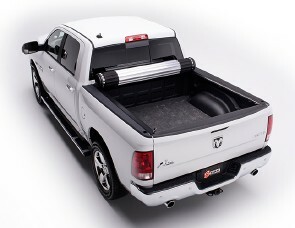 Be able to give your truck a stylish look, yet still be completely functional! Order yours today!